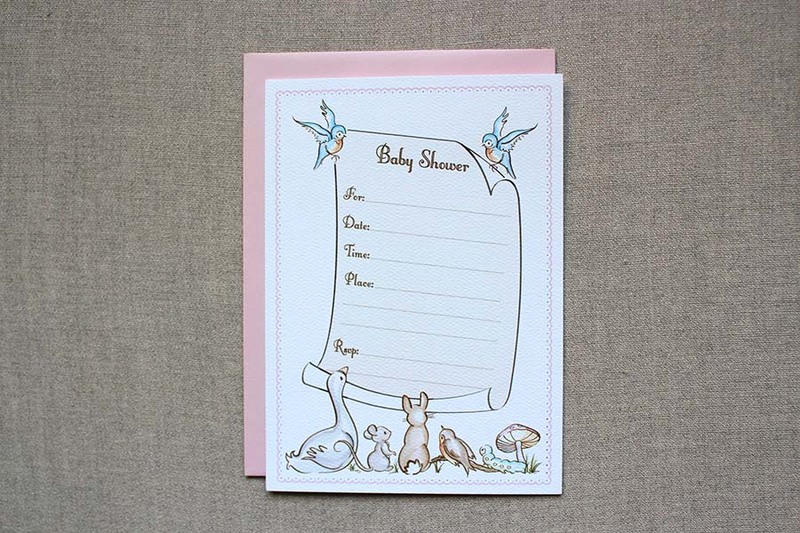 FOREST FRIENDS Baby Shower Invitations. 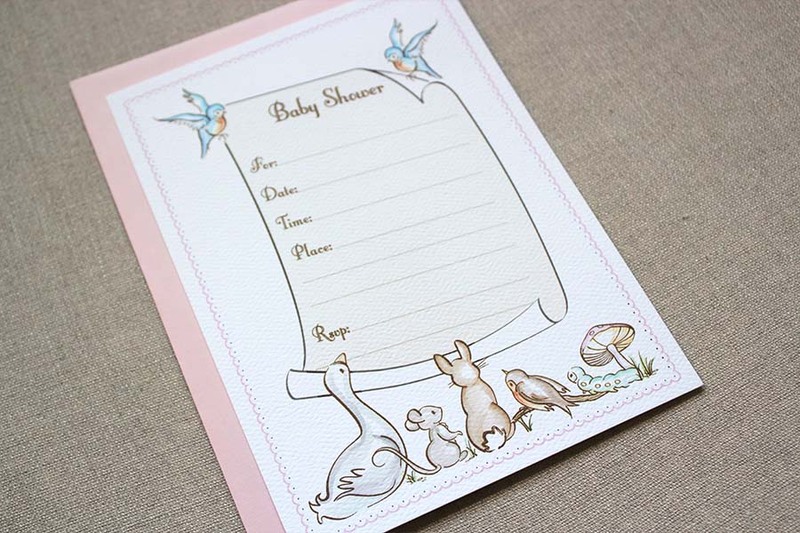 These baby shower invitations are digitally printed on double thick (38pt) luxurious felt watercolor paper, this invitation features hand illustrated forest creatures looking up at the details of your event. Invitations come with either pink or white envelopes. 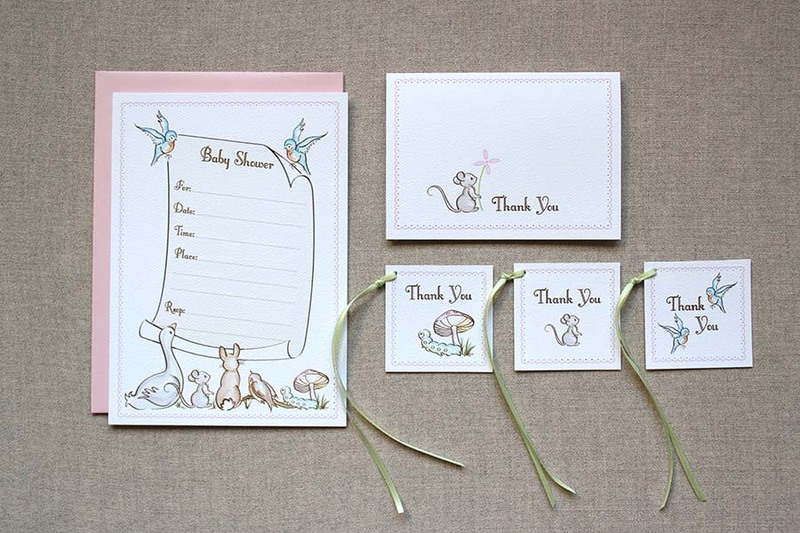 Matching thank you card and gift tags are available to complete this beautiful woodland shower theme.